Because a strain gage performs no better than the adhesive with which it is bonded to the test specimen, the adhesive is a vitally important component in every strain sensor installation. 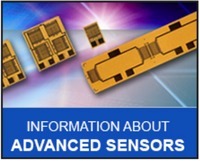 Although there is no single adhesive which is ideally suited to all applications, there is a wide selection of qualified and dedicated adhesives for Advanced Sensors Technology strain gage sensors that cover the spectrum of stress analysis, force measurement testing, and for use in transducer manufacturing. Every adhesive system offered by Micro-Measurements has been formulated in-house or is sourced from a qualified third party and extensively tested to ensure it is suitable for strain measurement application. 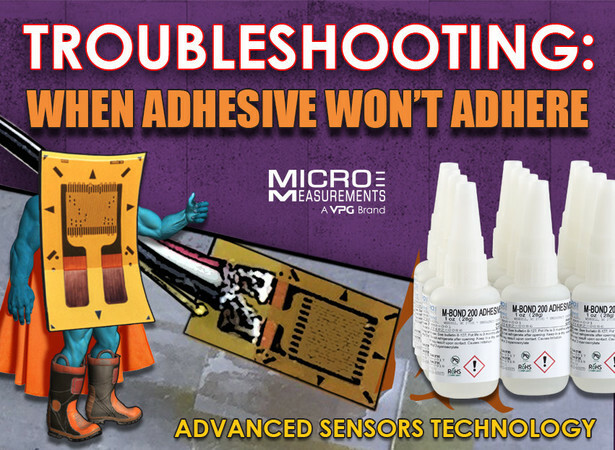 In this article we will focus on M-Bond 200 Adhesive. For routine experimental stress analysis applications under temperate environmental conditions, M-Bond 200 adhesive is ordinarily the best choice. This adhesive is very easy to handle, and cures almost instantly to produce an essentially creep-free, fatigue-resistant bond, with elongation capability of five percent (> 5%) or more. M-Bond 200 is a cyanoacrylate that has been pretested and certified for use in bonding strain gage sensors. Low humidity will prolong the curing time. Under these conditions, apply pressure for 3 to 5 minutes. Do not remove the handling tape for at least 10 minutes. High humidity will accelerate the cure time. Thick gluelines often result because adhesive flow is restricted by rapid polymerization. Install gages immediately following surface preparation to minimize condensation. Eliminate any residual condensation on the specimen surface by warming with a heat gun before gage installation. Low specimen temperature will prolong the curing time. Warm the surface to 70 to 80°F (20 to 30 °C) with a heat gun before gage installation. Acidic surfaces (like those on wood) can prevent cyanoacrylate adhesives from curing. Ideally, the surface pH should be within the range of 7 to 7.5. M-Prep Neutralizer 5A should be used, if possible, to eliminate surface acidity. Vapors from spilled M-Prep Neutralizer 5A may react with the adhesive and cause the gage to come up with the handling tape! Any noticeable odor may indicate a potential source of bonding problems. 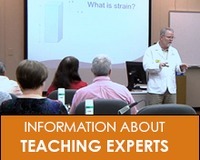 Failure to release the handling tape after wipe-through can cause voids in the glueline. This results when the gage is accidentally lifted from the specimen surface before thumb pressure is applied. Coarse surfaces will reduce the strain transmission capabilities of M-Bond 200 because it is not designed as a gap-filling adhesive. Variations in surface texture of more than 0.006 in (0.15 mm) are likely to cause the gage to be bonded only to the surface peaks. 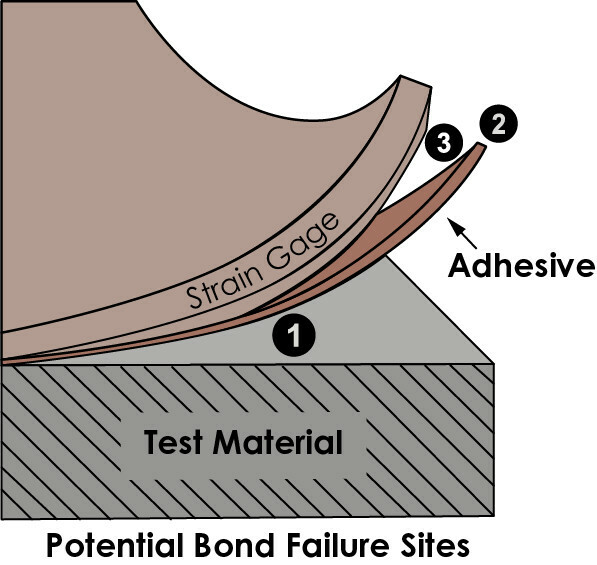 Failure of the adhesive to meet elongation specifications can be caused by any of the above due to premature loss of bond. M-Bond 200 cyanoacrylate adhesive is successfully used in thousands of strain gage applications every year, and the problems described above are both unusual and infrequent. Should you encounter any circumstance when M-Bond 200 (or any other Micro-Measurements strain gage adhesive, for that matter) fails to properly adhere, don't hesitate to contact our Applications Engineering Department for assistance.